Just a nice reminder out there to turn on your personal (or District issued) Chromebook at least once every two weeks so it will get the updates it needs. The update will take place in the background and you will not need to do a thing. This will keep your Chromebook working to potential. 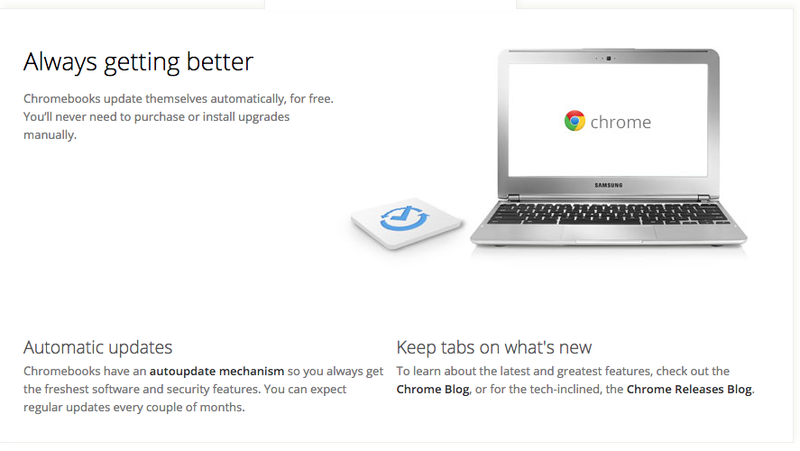 Click here for a nice short overview on Chromebooks.